Each local H.A. chapter should have its own bank account, enabling the chapter to establish a financial independence from any other organization. The bank account should require the signatures of both the treasurer and the assistant treasurer on checks. All money is to be collected, receipted, deposited, and withdrawn by the treasurer and/or assistant treasurer. It is suggested that the group purchase a ledger book to record money collected at each chapter meeting, a running record of money in the checking account, expenditures, and contributions to H.A.F.S. In order to best preserve the anonymity of all persons involved in the financial business of the local H.A. chapter (opening the bank account, writing checks, etc. ), H.A.F.S. suggests adopting a more general, non-descriptive name for legal business. The chapter may be named “The Chicago Chapter” or “The Portland Fellowship” or something similar. We do ask, however, that the name under which the bank account is opened be a name that identifies that specific H.A. group and no other group or organization. It is important to remember that the name chosen is for legal purposes only. 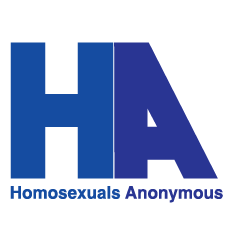 For group purposes “Homosexuals Anonymous” or “H.A.” is the applicable name. For example: it is the “Homosexuals Anonymous” chapter of Columbus (Ohio) also known, for legal purposes, as the “Columbus Fellowship”. The Bank Representative will ask you to fill out an application form. It is on this form that you will be asked the type of account you want (non-profit) and the deposit plan you wish (checking).